For companies looking to grow their business, one potential avenue to explore is contracting with the State of California. The State of California purchases a wide array of products and services ranging from pencils to temporary labor. The state estimates that annual purchases total $10 billion. 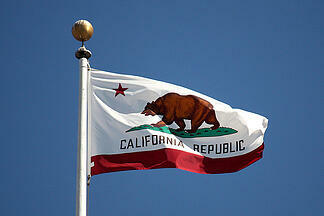 Learning how to do business with the State of California can be a difficult task. Many manufacturers and service providers assume that the process of doing business with the state is daunting and, never begin trying to win state contracts. Some find it difficult to bid due to the strict agency buying standards, which include bundling of contracts and failing to connect with vendor networks. The bidding process for businesses in the state of California has been made easy using online registration and bidding. You can now easily register your company through the California state eProcurement portal. The California Procurement Division has contracted with an application service provider, BidSync to host its web procurement system. Once you have registered on the eProcurement system the next step is to determine if your business qualifies as a Certified Small Business of Disabled Veteran Business Enterprise. The California State Government requires state agencies to award at least 25% of their contracts to certified small businesses (Certified SB) and 3% to Disabled Veteran Business Enterprises (DVBE). Together with your affiliates, be either a business with 100 or fewer employees, and have average annual gross receipts of $14 million or less over the previous 3 tax years, or a manufacturer with 100 or fewer employees. The CSCR is a one-stop, central information source for state contracting opportunities. State agencies post solicitations and Request for Proposals (RFPs) on this site when they go out to bid. CSCR connects companies to government solicitations, with an easy-to-use, on-line publication which lists services and construction contracts over $5,000, commodity contracts over $50,000, and IT goods and services contracts over $100,000. Businesses can also find subcontracting opportunities and place ads seeking work with potential prime contractors at no cost. You can access the CSCR HERE. The California Department of General Services (DGS) Procurement Division establishes agreements with businesses who offer products and/or services available through current Federal General Services Administration (GSA) multiple award schedules. California Multiple Award Schedules Contractors (CMAS) offers a wide variety of commodities, non-IT services and information technology products and services at prices which have been assessed to be fair, reasonable and competitive. Oftentimes, State and local governmental agencies shop and compare CMAS for the best value, best price, product, service, etc., and place orders directly with these businesses. This step is optional. Once you become a certified firm or a CMAS contractor your business information is included in databases accessible to State purchasing officials. Steps 1-4 are the preliminary steps to get your business certified and registered to conduct business with the state. 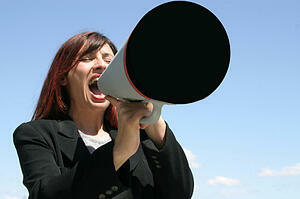 You now must market your products and services to the various state agencies. There is a learning curve here for most businesses. Preparation and research are the keys to winning contracts. The state provides the following resources to help California businesses. Most state agencies have an Advocate to disseminate information on pending solicitations to SBs/DVBEs, ensure prompt payments and resolve contracting issues. Some state agencies have delegated purchasing authority to allow them to contract directly with vendors. The DGS website allows you to find out what state agencies buy and the dollar amount of the contracts HERE. The California Online Directory provides access to state government information and services including employee phone numbers, agency information, and a government organization chart HERE. You can keep up-to-date on news and events relevant to the SB/DVBE community HERE. Identify the contract of your choice and follow the bidding procedures carefully. Prepare your bid with the aid of specialists when necessary. Following these simple steps will put you on the road to winning business with the state of California. For more business tips information on the regulatory environment in the State of California, please subscribe to our blog.